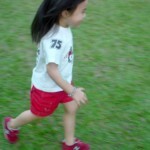 A game of tag is an excellent opportunity to use Spanish with your child. The game has different names in different Spanish-speaking countries. In Mexico, it is called la traes which translates roughly as “you have it.” In Spain, it is called pilla-pilla or tú la llevas. In Argentina, tag is la mancha and in Peru las chapadas. Of course there are many variations of tag, but below are phrases used to play basic tag in Mexico and Spain. In both countries, the game uses forms of a very common verb – traer or llevar – meaning to bring or carry with you. 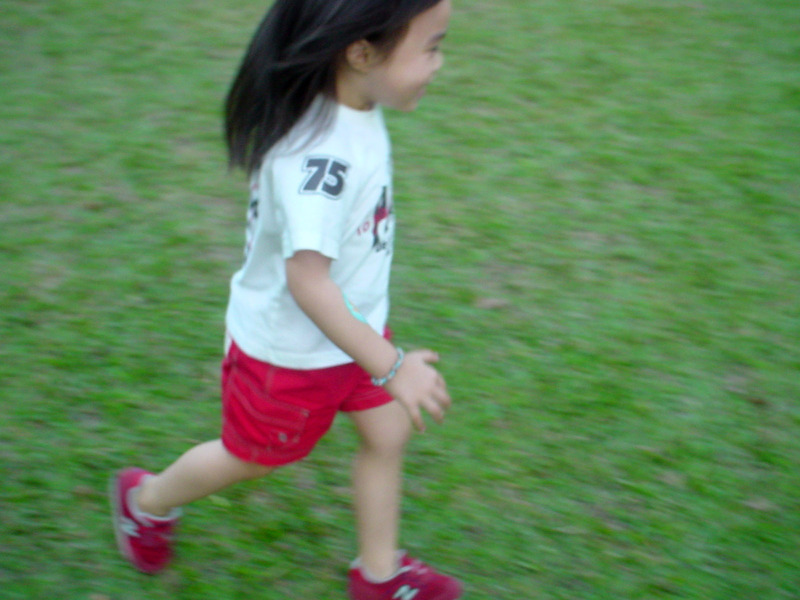 Tag is perfect for language learning because the action reinforces the verb forms – when a child says yo la traigo, o yo la llevo (I’m it) she uses the yo (I) form of the verb and the action centers on her running after the other children. When she tags someone and says tú la traes or tú la llevas, using the tú (you) form of the verb, the action reinforces the change of person from yo (I) to tú (you). Vamos a jugar a la traes. – Let’s play tag. ¿Quieres jugar a la traes? – Do you want to play tag? Me salvo/ A salvo – I’m safe. Vamos a jugar al pilla-pilla. – Let’s play tag. Vamos a jugar a tú la llevas. ¿Quieres jugar al pilla-pilla? – Do you want to play tag? ¿Quieres jugar a tú la llevas? You can see how these phrases are used in this video. It is a segment of Barrio Sésamo, the version of Sesame Street shown in Spain. The characters are Epi and Blas. (In Mexico, they are Enrique and Beto.) At one point the two characters are talking at the same time, but I have included the most important lines in the transcript that follows. There is also a translation. That is funny, I never thought of Tag as how you play it, and what it means. En Bolivia Pesca, pesca. Yo pesco, tu pescas, te pesqué! pescado! I guess it refers to fishing right. I will share your post in my page, put me to think! En Colombia es “la lleva”, juguemos a la lleva, quien es la lleva? ¡Gracias! Sé que se dice de distintas maneras. No conozco Colombia…¡ojalá algún día!